BFREE offers rustic yet comfortable living and research facilities and access to a diverse array of potential study sites. In 2014, lodging facilities expanded to include three private cabins and an additional bathroom and shower facility. Solar power allows use of a fan, light, and equipment charging at each cabin. 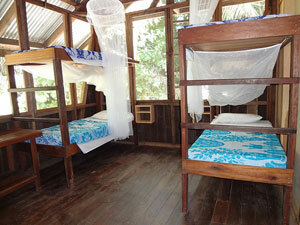 Cabins do not have en-suite bathroom facilities, however, the toilets and showers are only a short distance away. 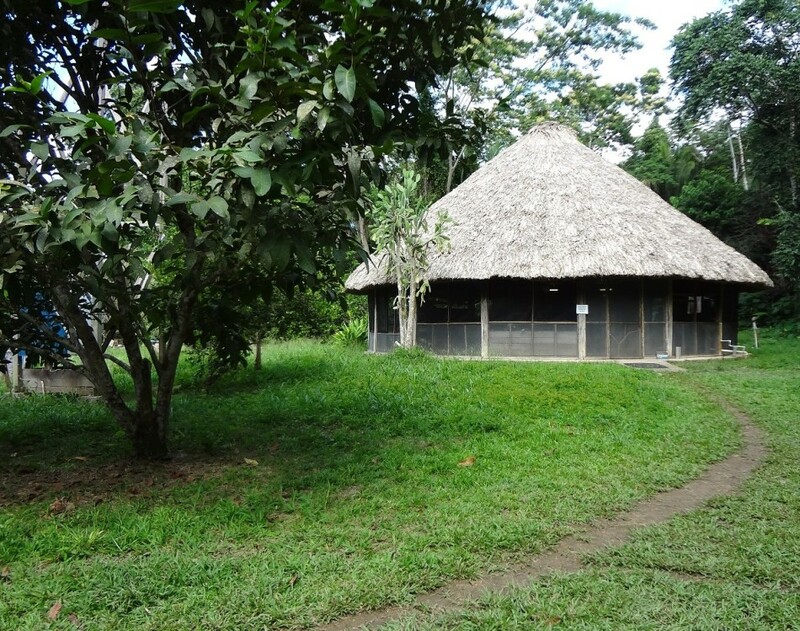 Follow the links below to learn more about types of lodging available at the field station. 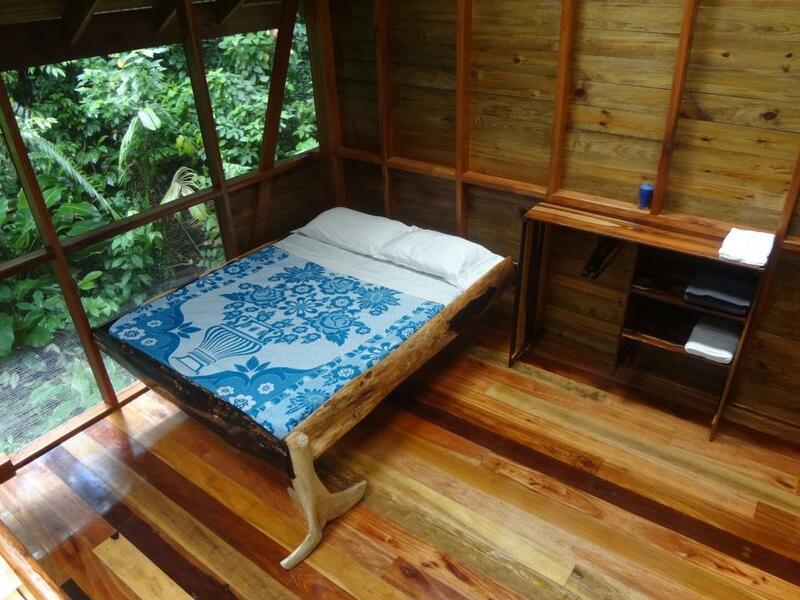 Harpy House is one of three private cabins constructed in 2014. 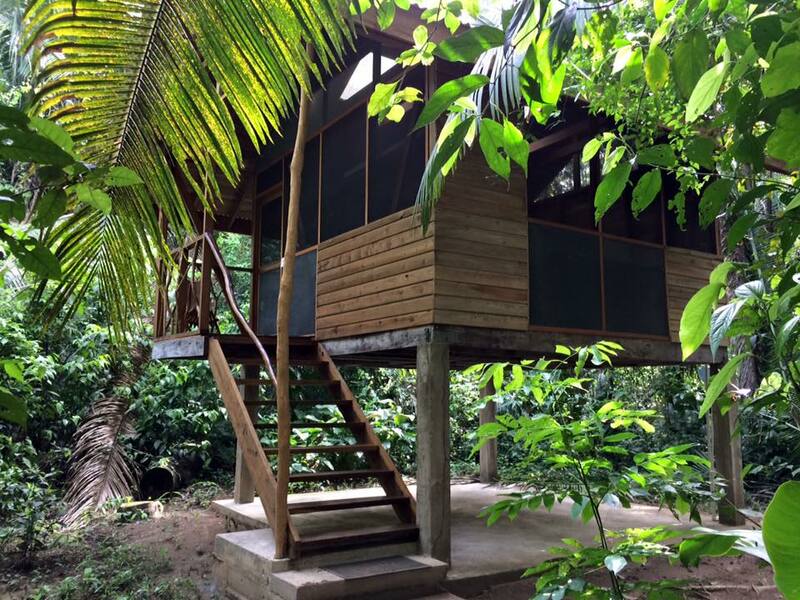 Built in 1998 and expanded in 2008, the bunkhouse is located 225 m from the river on the north side of the main grounds and is situated under the hulking shade of a massive 140-foot tall Ceiba tree. The facility sleeps 24 people in bunk beds in four separate rooms. The bunkhouse contains four rooms that sleep a total of 24 individuals. Sitting on a slope overlooking the garden, this kitchen and communal dining room is where meals are prepared and consumed. The building has served as the center of social life at BFREE. The kitchen and dining room contains space for eating, lounging and presentations. The Cool Spot is housed in this round, 35’ diameter, 30’ high thatched roof structure across the garden from the kitchen that was previously the BFREE schoolhouse for the staff’s children. 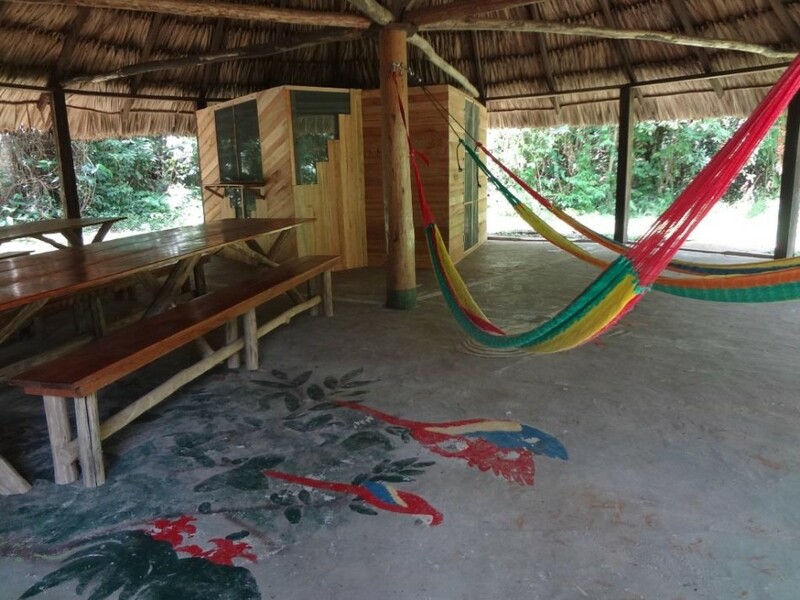 This space now contains a small shop, picnic tables and hammocks and is an ideal place to rest, read and socialize. Renovated in 2013 with the help of New York City College of Technology students, the Cool Spot is a place for relaxing. BFREE has plenty of space to pitch a tent right next to the clear flowing Bladen River. Camping next to the river also allows the visitor to view abundant wildlife, especially at night as the animals head to the river for water. 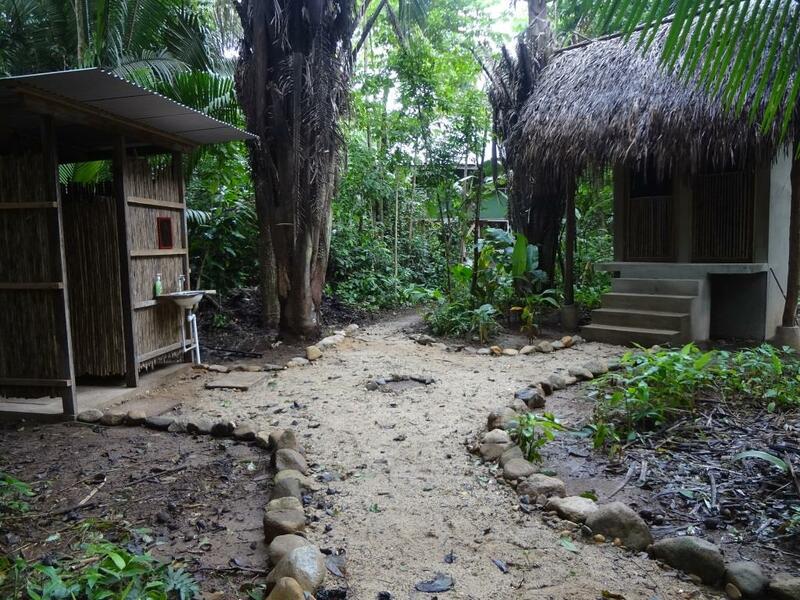 The Researcher Compound includes a composting toilet and a shower. There are three composting bathroom facilities for visitor use at BFREE as well as three showers. Composting bathrooms and solar showers at the Researcher Compound.